Hasenfratz: "Prices will have to be dramatically increased to consumers, consumers will stop buying and we will have a collapse in the automotive market." 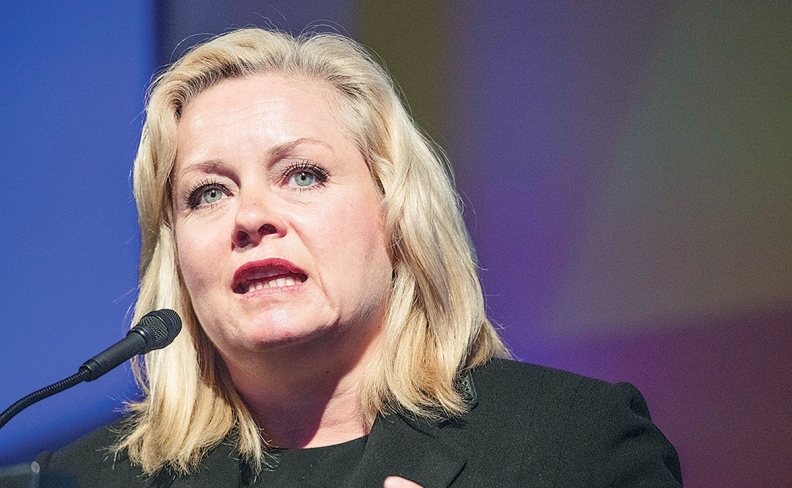 TORONTO -- The North American auto industry is facing a crisis “that will make 2009 look like a walk in the park” if the U.S. imposes tariffs on vehicles and parts, says Linda Hasenfratz, CEO of Canadian supplier Linamar Corp.
President Donald Trump last month ordered an investigation into whether auto imports pose a national security threat, potentially resulting in tariffs of up to 25 percent. The tariffs would be “unbearable” when added to existing levies on steel and aluminum, Hasenfratz said in an email Wednesday. “Prices will have to be dramatically increased to consumers, consumers will stop buying and we will have a collapse in the automotive market” that will be worse than the 2009 financial crisis, said the CEO of Guelph, Ontario-based Linamar, which has manufacturing facilities in 11 countries, including the U.S. and Mexico. Linamar’s stock price has been hit by the recent trade uncertainty, losing 22 percent since mid-May. Harley-Davidson Inc. said Monday it plans to shift some production out of the U.S. in response to retaliatory European Union tariffs, prompting an angry tweet from Trump, who said the move will be the “beginning of the end” for the motorcycle maker. Hasenfratz said she doesn’t support quotas and tariffs on steel imports from countries other than the U.S., which Canada is preparing to prevent a flood of product from global producers seeking to avoid the U.S. duties. People familiar with the plans said the new duties could be announced as early as next week, and would be on top of Canadian duties set to go into effect July 1 on U.S. imports ranging from steel to boats to maple syrup. “Tariffs are never good, add cost that ultimately hits the consumer and therefore hammer the economy in a broad sense,” she said, adding that U.S. metal tariffs are already raising costs for the auto industry that will ultimately lead to layoffs. If auto tariffs are imposed on top of the metal duties, it will be the “the next and final step to economic disaster,” she said, adding that she doesn’t know of a single automaker or supplier that has asked for them. "A 25 per cent tariff on cars and parts would cause what we like to call 'Carmageddon,"' Flavio Volpe of the Auto Parts Manufacturer's Association told MPs on Tuesday in Ottawa. Linamar is Canada’s second-biggest auto supplier after Magna International Inc. in Aurora, Ontario.